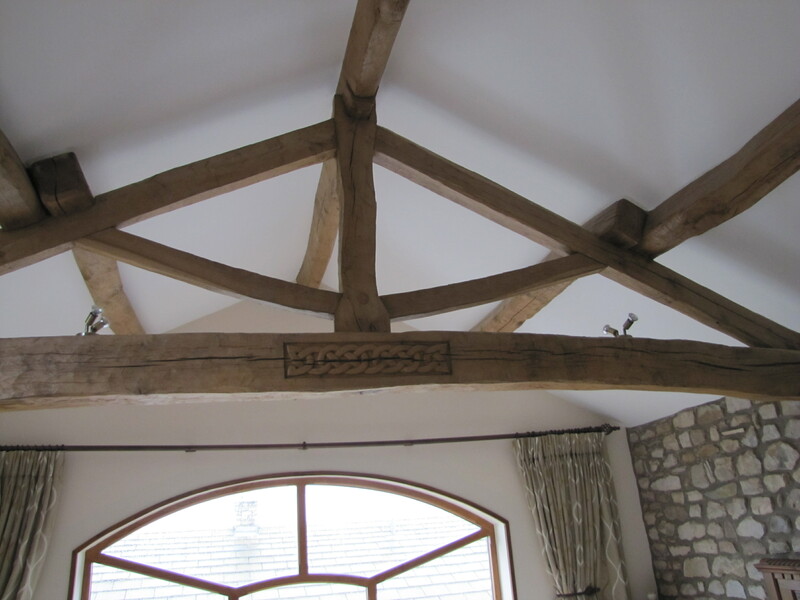 In 2005, Altham Oak were charged with carrying out structural work for the completion of a barn attached to a redeveloped farmhouse. The homeowner client was living in the finished main section of the property and wanted to complete the work to the attached barn building. 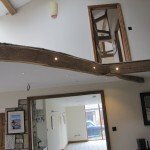 Following a site visit by Altham Oak’s professional team it became apparent that the client was keen on the idea of something with an extra ‘wow’ factor. Completed work on the main house included masonry carvings on internal stonework and gothic arches. 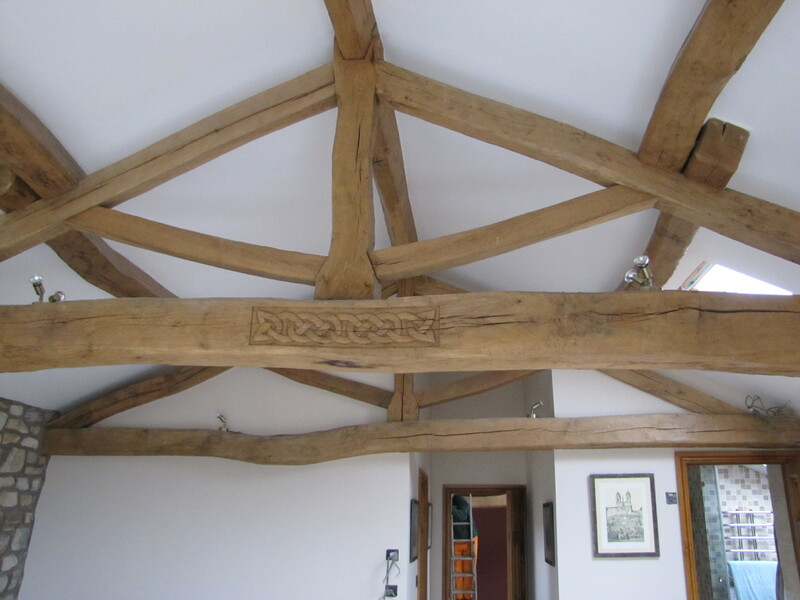 Having viewed previous examples of Altham Oak projects involving hand-cut oak trusses, the client opted for an intentionally wild and organic style of structure, following the natural tree form. 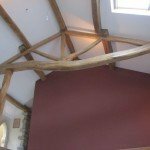 With very few companies able to offer and deliver structural trusses of this nature, and even less specifiers aware of their existence, the project offered a rare and exciting opportunity to create something truly bespoke. 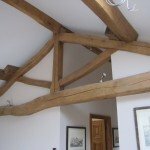 As long as the grain follows the shape, a curved oak beam can be just as strong as a straight one. 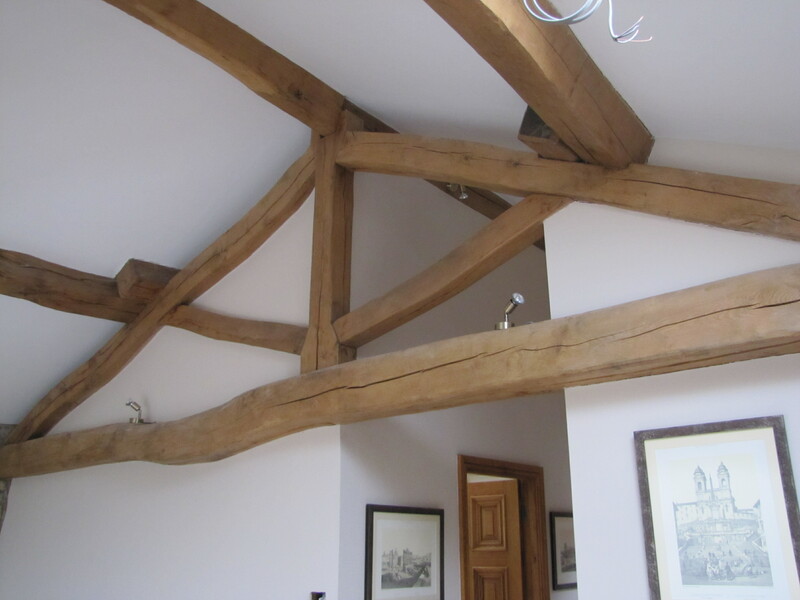 Despite the unusual nature of the angles and dimensions involved, Altham Oak’s structural engineer conducted the necessary calculations without disruption to the project’s schedule. 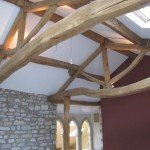 The work included the fabrication of a complete roof of five hand-cut oak trusses, purlins and ridge, with a gallery hanging from the two oak trusses over the double-height main room. 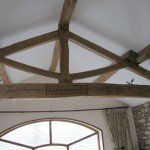 The tie beams of the five trusses varied extensively in appearance. The most irregular were utilised in the double-height space where there was more headroom, while the straighter ones were used in the other rooms. 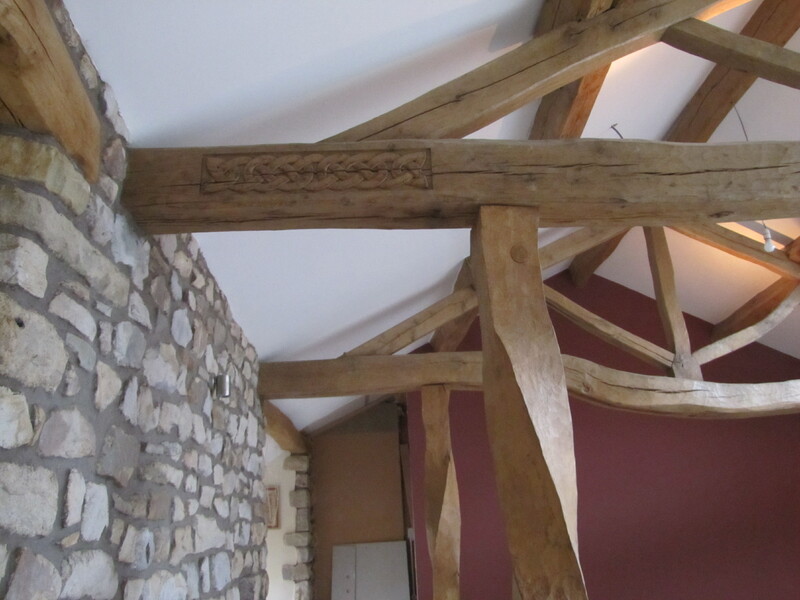 Twisted square oak hanging posts were installed to carry the gallery, which was edged with hand-cut beams. 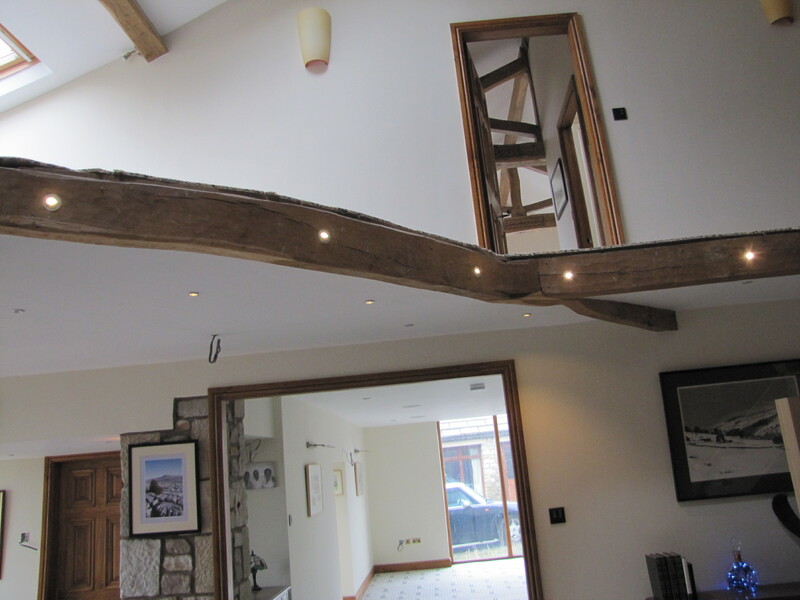 One corner of the gallery edge features a quadrant radius beam, cut from a specially selected curved tree. 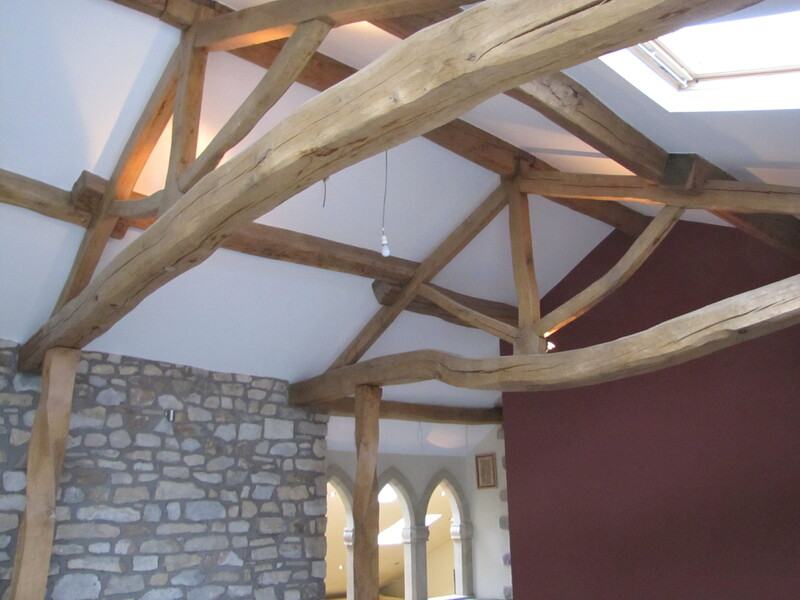 Beams and purlins were also supplied for the roof of an existing mono-pitched side extension to the barn. As well as the striking structural components, Altham Oak’s craftsmen incorporated several unique design elements that further demonstrated their hand-crafted carpentry skills. 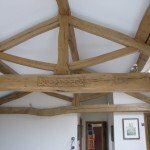 A date plaque was carved, as well as several intricate examples of Celtic knotwork, to the client’s specifications. 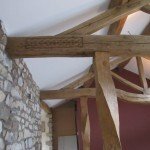 These were largely completed off-site, apart from a further separate Celtic knotwork panel, carved in-situ in one of the property’s bedrooms. 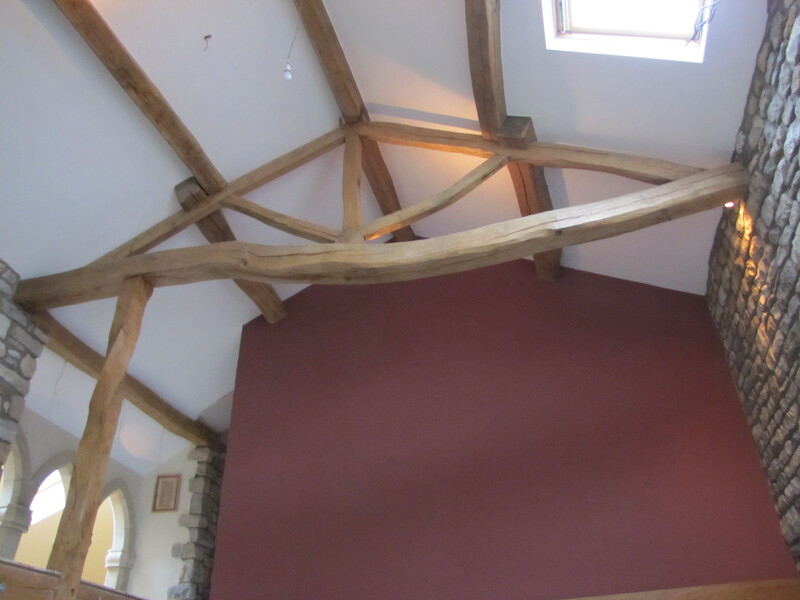 This was completed after installation, following the client’s request for the extra product. 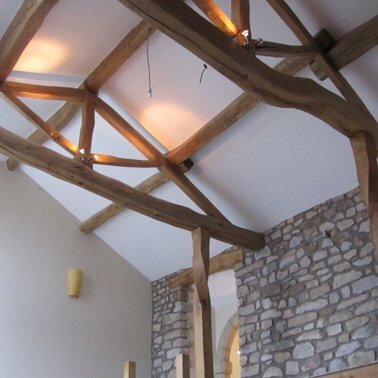 Altham Oak’s versatility and responsiveness to the client’s request for an interesting design brief allowed them to complete their on-site work within the specified budget of approximately £30,000.